We welcome contributions to the Europlanet sponsored cometary plasma science workshop hosted by the Rosetta Plasma Consortium (RPC) on March 28-29, 2019 in Helsinki, Finland. The scope of the workshop covers all cometary plasma physics related topics, including the comet 67P/Churyumov-Gerasimenko and the Rosetta mission, other comets and missions as well as remote sensing, theory and laboratory studies. 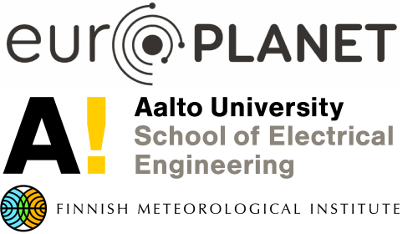 The organizer of the workshop is the Aalto University (Espoo, Finland) and it will be held at the Finnish Meteorological Institute at the Kumpula Campus in Helsinki.